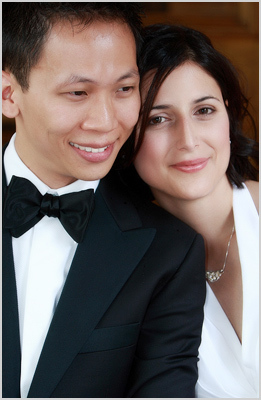 There are two types of wedding photography styles to choose from: traditional and photojournalistic. Knowing the difference will help when considering wedding photography. When it is time to start thinking about professional photography for a wedding, couples will want to determine what types of pictures should be captured for the occasion. Wedding photography decision making is not simply black and white. 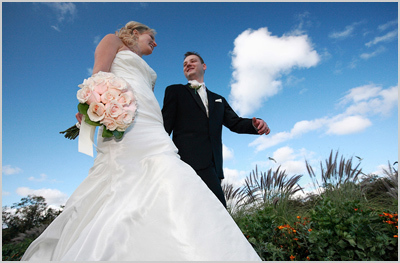 There are two types of wedding photography styles to choose from: traditional and photojournalistic. Knowing the difference will help when couples start talking to potential professional wedding photographers. Traditional wedding photography has recently been largely trumped by the appearance of photojournalist photographers claiming the ability to better capture the moment in artistic and unscripted poses. Yet there is still something uncompromising about traditional photography for a wedding. To further the argument for traditional photography, consider that it is not often when multiple generations from two families getting together. The ability to capture these moments in purely traditional style is something that can be looked back on with gratitude. Traditional wedding photography might not seem as exciting as the photojournalistic approach, but capturing some traditional poses during the big day will ensure precious memories in the years ahead. The idea of photojournalistic wedding photography has recently become very trendy. While the term implies the telling of a story through the use of pictures, photojournalism may be interpreted in different ways. Deciding on a photojournalistic approach to a wedding might mean unscripted photograph taking to one bride and groom, and imply scripted, but unposed photographs to another bride and groom. With a photojournalistic approach the professional photographers captures the day in a more sequential and complete way. The photographer can capture a raw moment, and unsuspecting glance, an emotion filled first dance. Photojournalists will not be posing guests or family members or encouraging people to freeze and smile. Many of the photographs captured do tell a story and will illicit fond memories when looking back on the occasion. Which Wedding Photography Style is Right for the Occasion? The best thing to do is consider various wedding photographs and determine which pictures seem most appropriate for the occasion and which pictures resonate personally with the bride and groom. If a couple has photographs in mind that encompass both traditional and photojournalistic approaches, then finding a professional wedding photographer who will combine both styles will be most appropriate. One style may not fit all. Instead of focusing on one style of wedding photography or another, simply focus of the images that would create the most cherished memories. The wedding day is about the bride and groom. Discuss the day with your professional wedding photographer and come up with a photography plan that will provide the best photographs for years to come.